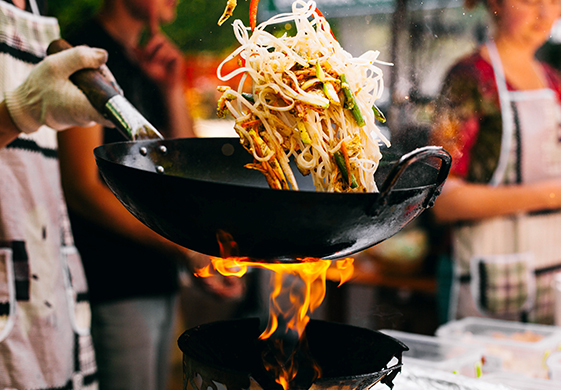 Make space in the kitchen for this wok superstar! Alfa One Rice Bran Oil is naturally light and clean tasting; perfect for every occasion. It’s made from quality rice crops in Thailand, containing ‘good’ fats and the natural antioxidants Vitamin E and Oryzanol. The oil’s high smoke point means you can cook at high temperatures, bringing out only the best flavours of your home cooking without the risk of burning the oil. Salmon, steak or stir fry, reach for the Alfa One to cook it to perfection.